If a chicken Caesar salad wrap is on the menu, they’re ordering it. This is an unwritten dining out rule for my sisters. Also proper protocol for the girls is purchasing Haagen-Dazs caramel cone ice cream whenever the opportunity presents itself. If you are unfamiliar with this amazing ice cream flavor, go buy it now. After you read this post, go to your local grocery store and buy it. Seriously. I’m not kidding. DO IT! Mmmm…caramel cone… Wait, where was I? So, my sisters and I have similar taste buds. After eating wonderfully with them on their most recent visit to Chicago, I naturally started thinking about what we would dine on when they came back. Here’s one of my ideas. 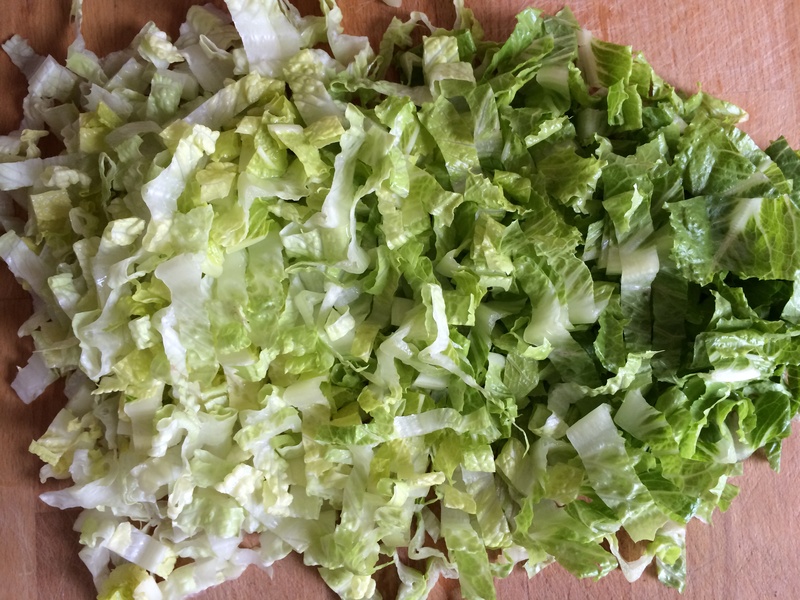 A new twist on their precious chicken Caesar salad wrap. 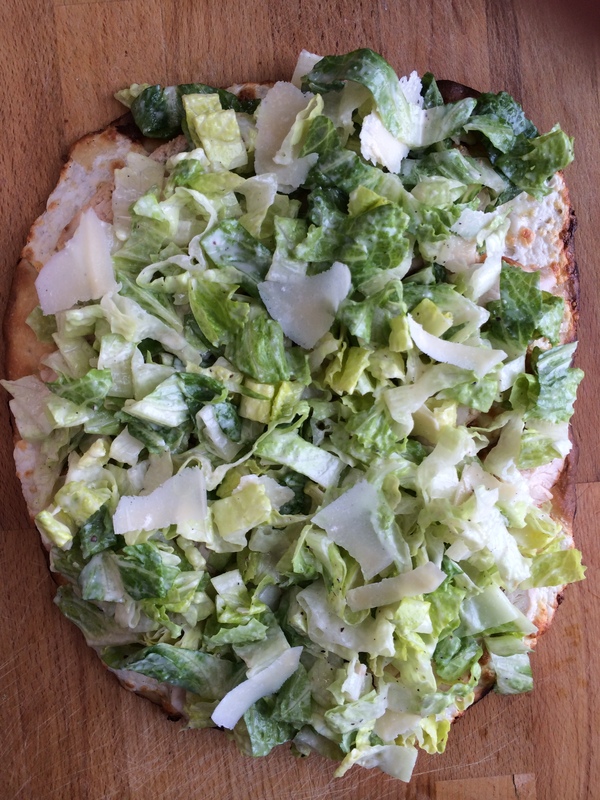 This adds a tasty texture twist with the thin pizza/flatbread crust. It’s a little messy, so be prepared with extra napkins. 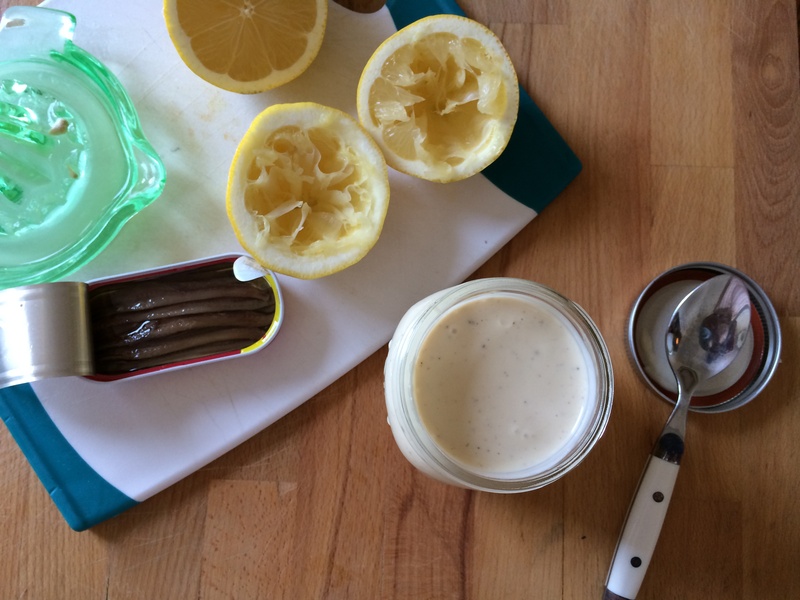 Give my Homemade Creamy Caesar Salad Dressing a try with this one. It really makes the dish shine. 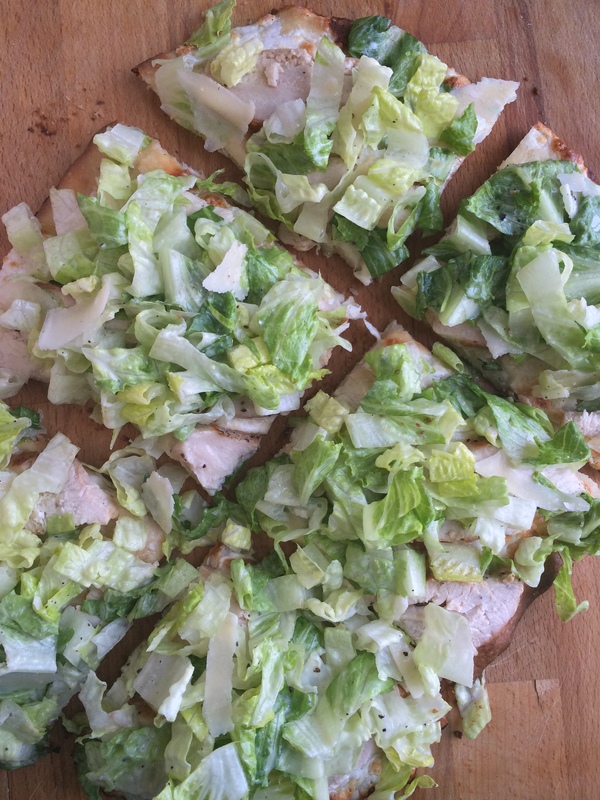 Whip up a batch of pizza dough, grill a chicken breast, make a Caesar salad, and combine the ingredients. 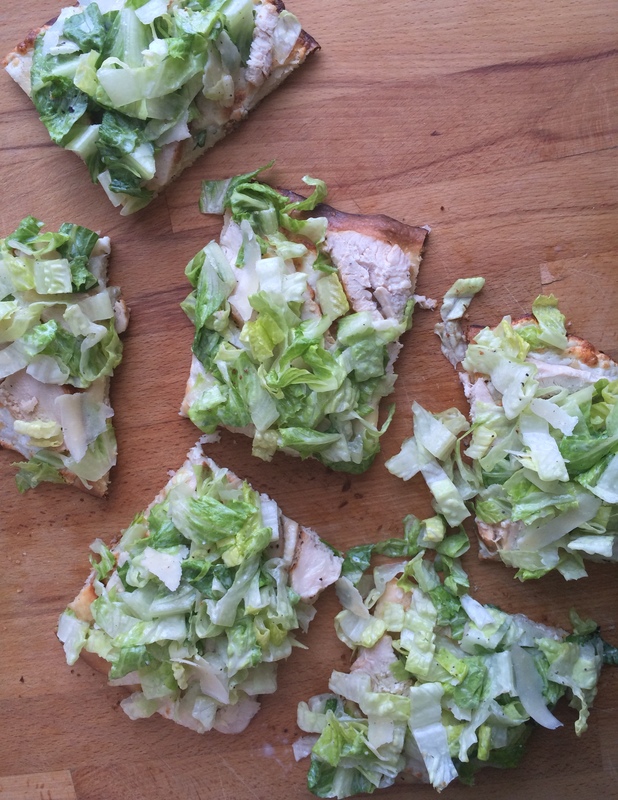 Chicken Caesar Salad Flatbread is born. Just in time for my sisters’ next visit. Come back gals! Remove prepared pizza dough from refrigerator and place in a bowl that has been coated with 1 tsp olive oil. Cover bowl with a kitchen towel to keep dough from forming a crust, and allow dough to sit in a warm spot for 1 hour. This will bring your dough to room temperature making it easier to handle. Do not skip this step. 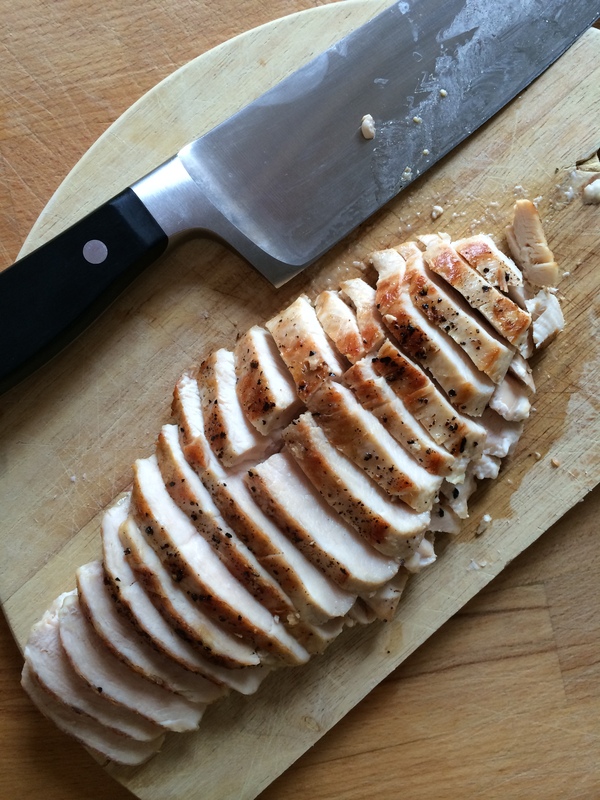 Brush a baking sheet liberally with 1 tbsp olive oil. Stretch the dough to desired shape and thickness (I prefer an 1/8 inch rectangle shape for this recipe). I like to do this step directly on the oiled baking sheet. Be patient. The dough will naturally want to shrink up. Using the tips of your fingers, continually work the dough outwards. Top the crust with the mozzarella slices and bake until the dough crisps up and cheese is melted. About 15 minutes. Remove flatbread from oven. Top the melted mozzarella with grated Parmesan cheese and sliced chicken. 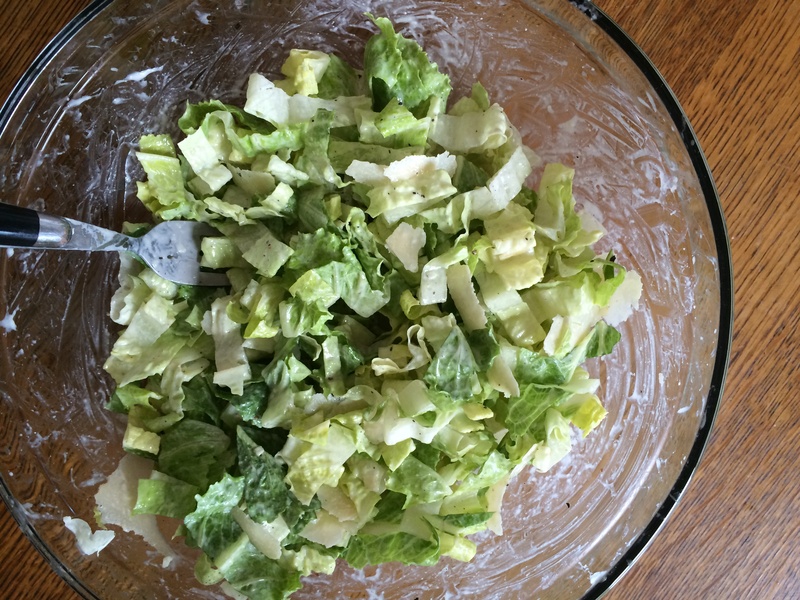 Toss romaine hearts with 1/4 cup Caesar salad dressing, salt, and pepper. 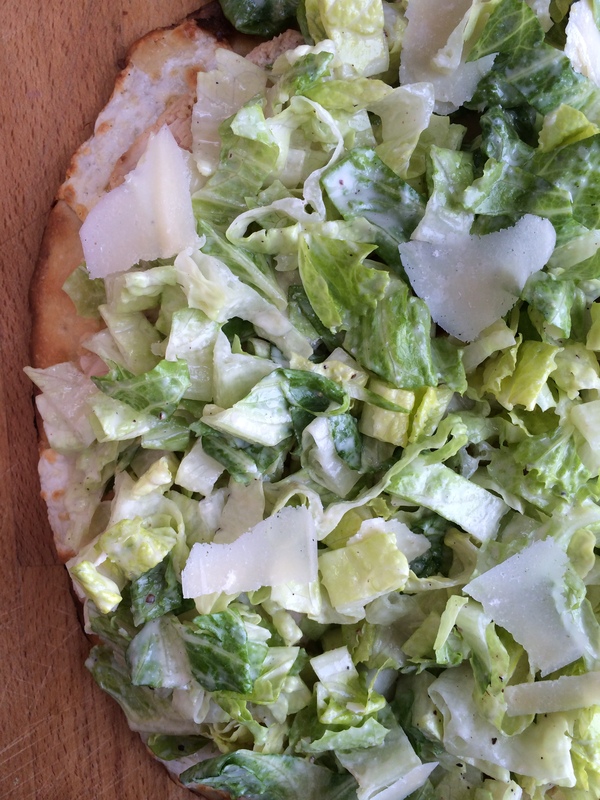 Top the flatbread with the Caesar salad and additional shaved Parmesan cheese. Note: Either use a pizza stone, or cook the flatbread on the bottom rack of your oven. This will help to create a crispy crust. 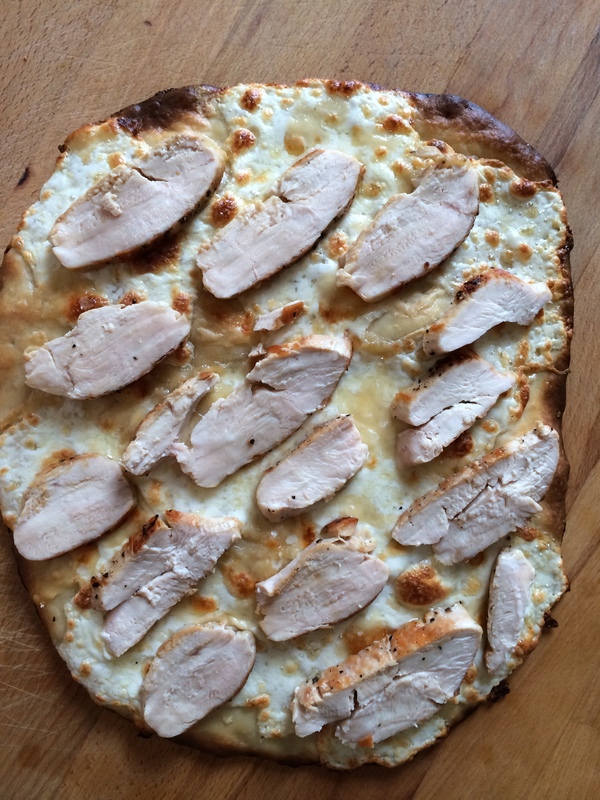 If you cook the flatbread on the bottom rack in your oven, be sure to check it at the 10 minute mark to ensure it is not burning. If the dough is nice and crisp at this point, move the flatbread to the middle rack for the remainder of the cooking time.